To have talent as a dancer is a rare gem. Some dancers are born with the natural talent and facility for ballet. 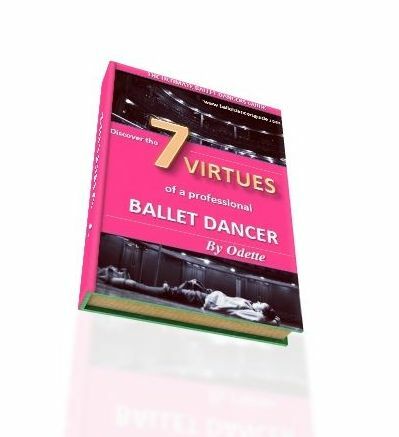 Obviously no dancer can succeed without a great deal of commitment and hard work, but the demands of ballet are very physical which means few dancers make the cut for a professional career. dance and performance charisma. This is why few teachers find a huge talent for dance. So if you are one of those rare talents and you have a passion for dance, then you must believe in yourself and use your ability to become a great dancer. But mostly importantly, you have to have the drive and determination in yourself to succeed. No matter how much a teacher pushes you, the work has to come from no one else but yourself. If this is what you want, then that is enough to keep succeeding through dance. You will have high expectations a lot of the time if you are a talented dancer, but you must not let this pressure get to you. Easier said than done, but you must remind yourself the passion for dance and remember you are doing this for no one else but yourself. Pirouettes are to do with balance, so try balancing in retire on demi pointe to find where your balance is. Once you have found your balance, try just doing releves and then half and single pirouettes. It helps to break down the position of a pirouette, so always go back to basics when you are having difficulty. Just like ballet, tap takes time to graso the technique and improve. It is different to ballet in the way you don't have to be as controlled in your movements so let go, relax and move those feet very quickly! The fast action of your footwork in tap and be a great help to ballet too.